​Tralee McElroy lives in Pawling, NY and has been an integral part of the foundation since its inception. Tralee grew up learning and dealing with the effects of a having a brother with a life threatening illness. With only a year and half separation in age, Ryan and Tralee were always together, no matter what. Whether it was at the hospital, doctors offices, or in the backyard playing baseball, Tralee and Ryan were inseparable. When Ryan’s Foundation was started in 1998 and become a 501-C3, Tralee’s heart and mind was involved, not only as a sister but as a someone who wants to help, give back, and for everyone to learn what an amazing boy Ryan is and how strong he fought. Tralee graduated from St. John’s University in 2014 with her Bachelor’s Degree in Business Management. Not long after graduation, she became the manager of the family business, World Gym located in Pawling, NY. She is now running the day to day operations of the gym. In 2015, she was voted on by fellow board members to become the new chairwoman of the foundation, taking the role of her father Chip McElroy. 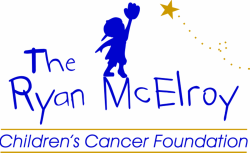 Her mission and passion is to continue to help children throughout the Mid-Hudson Valley who are suffering from life threatening illnesses while never forgetting her best friend and guardian angel, Ryan. As Tralee’s dad always says, “I want people who knew Ryan; to never forget him and for people that did not know Ryan, to know him”. Tralee never wants any family to go through the pain and suffering of having a child who sick, while worrying about the financial and physical end of it. That is where Ryan’s Foundation steps in. We will do whatever it takes to save the life of that child and never say no. Stated by Tralee, “Ryan is as tough as they come, he never gave up his battle, and I am never going to give up on his life”.